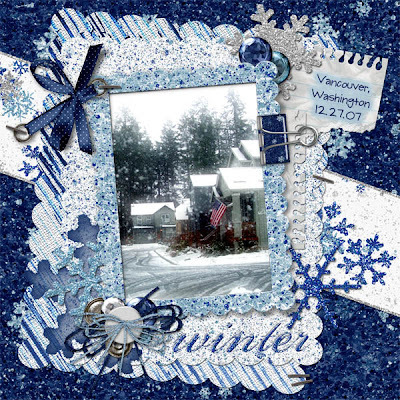 Bon Scrapatit Designs: BRRRRRR .... BABY, IT'S COLD OUTSIDE!!!! 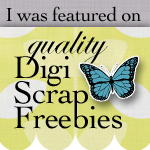 ANOTHER CHILLING FREEBIE!!! BRRRRRR .... BABY, IT'S COLD OUTSIDE!!!! ANOTHER CHILLING FREEBIE!!! Hope everyone's week has started out well! I'd sure LOVE to know where my energy has disappeared to!!! If y'all find it, would you please send it on back to me!!! ROFLMBO!!! Still trying to finish up my *A LOVE FOR ALL SEASONS* scrapkit and have a SPECIAL little goodie for y'all tonight ... uhm, I mean this morning!!! 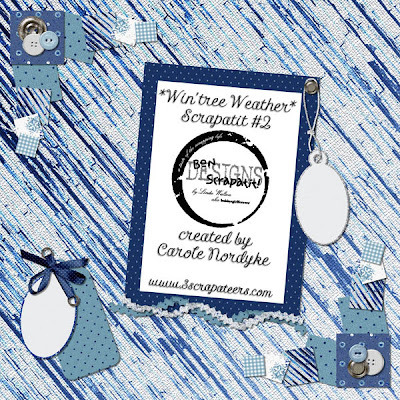 Carole has created a few scraplets from my *WIN'TREE WEATHER* kit and this is the first in her series. THANK YOU Carole!!! You ROCK girlfriend! I'll catch up with y'all tomorrow I hope - a GOOD night's sleep should do me a world of good as I've been burning the midnight oil a few nights to often this past week! That in itself is surely no help for getting over the "throat thing". I'm in a bit of a coughing stage at present, but VERY mild. This is TOO weird for me as I've not been sick in a LONG, LONG time! I ALWAYS laugh when I think about it and remark to people that, "I don't get sick - I'm just falling apart"!!! Have a GORGEOUS day y'all and remember, in SCRAPLAND (of course this is wherever you are when you are scrapping! 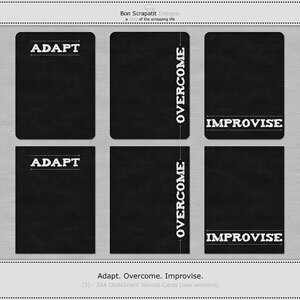 ), it is SCRAP HAPPY HOUR 24/7!!! Oh wait, I think that has been changed to 25/8 courtesy of Dr. Phil!!! Thanks Dr. Phil! I think MOST of us have been looking for an extra hour in our day and an extra day in our week - even if it's ONLY in our dreams!!! Night all .... SWEET DREAMS! have lunch with her fiance's parents about ten minutes away! believe it was his VERY first WHITE CHRISTMAS!!! It was my first in over 45 years!!! downloading under my blog post for December 13th!